Our most sincere appreciation to you and the music teachers fo your commitment in making a difference to the children. Your involvement in teaching them a talent has certainly contributed to enhance their self image and realising the potentials within themselves. The University of KwaZulu-Natal of Music believes the project "GROW 2010" to be an exiting and imaginative concept which will greatly benefit an extremely disadvantaged sector of the population, and which will also benefit to the future of Music in the province. We are happy to lend our support to this project. The Children’s Rights Centre is a non-government, non-profit organization that contributes to the creation of a sustainable child-friendly society in South Africa by engendering, at all levels of society, child-friendly policies and practices based on the United Nations Convention on the Rights of the Child and S.A. Constitution. We raise awareness, promote, & protect children’s rights & seek redress for violations through monitoring, advocacy & training. One of our focus programmes is to “Protect and Promote Children’s Rights for Children in Especially Difficult Circumstances”. We therefore support the principles of Project “Grow 2010” which aims at bringing a personal focus for children living under especially difficult circumstances and those in shelters, by way of teaching orchestra instruments and to assist them to reach a level of playing in an orchestra which will perform at various events. This will be a great achievement. We are encouraged that professional musicians will provide supportive professional musical and artistic education by way of music lessons and musical instruments. This will be an opportunity to include the children in a structured and progressive educational program with the outcome of re-integrating them back into society by way of encouraging and promoting social behaviour, respect of peers and personal pride and dignity through setting goals to perform at events. We wish them success with this programme and support them in their efforts. On behalf of the KZN Department of Arts, Culture and Tourism eThekwini Cluster we would like to thank you for the invitation to the launch of this venture. We feel that what you are trying to achieve will be great value to eThekwini. It will enrich the local music scene as well as address the plight of the street children. Our Department is very excited about this valuable and innovative initiative and on receipt of our funding for 2006-2007 we will definitely put forward a proposal to our Department to support your project. We wish you luck with this adventurous endeavour. Please contact us, as besides assisting with funding our staff who have experience in this field, we will be more than willing to give logistical support. On behalf of the Ethekwini Municipality, I wish to congratulate you on an exciting and innovative Educational project. It is good to see such initiatives take place, particularly the ones which will help our most deserving children to develop skills and education. eThekwini Municipality will come in help when and where possible so to assist you in this challenging and creative endeavour. 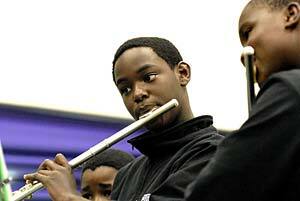 As a cultural organisation we approve of the skills being taught to children in need as they not only offer a safe haven for learning but also will promote a greater appreciation of orchestral musical culture throughout the country. The Sporting industry has offered South Africa much hope during the last 10 years of democracy and we believe that by marrying the sporting industry with music a greater freedom for all will ensue. I Care, through the LHC Foundation, is a non-profit charity organisation devoted to finding meaningful and sustainable solutions to the challenge of street children in South Africa. The GROW2010 project offers some of these children an opportunity to aspire to more than a lifetime of begging on the streets and we congratulate all those concerned with this bold initiative. I Care will gladly assist in any way it can.